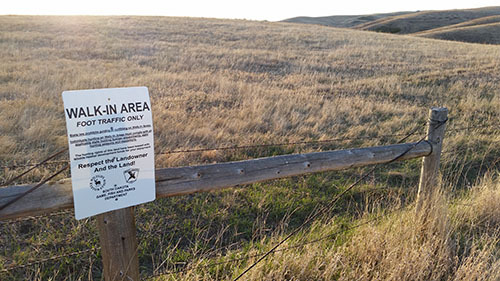 Works to maintain South Dakota’s rich hunting heritage by providing public hunting access to privately owned lands that contain valuable wildlife habitat. The landowner opens the land to free public hunting, (foot-traffic only) in exchange for a small payment and immunity from non-negligent liability. 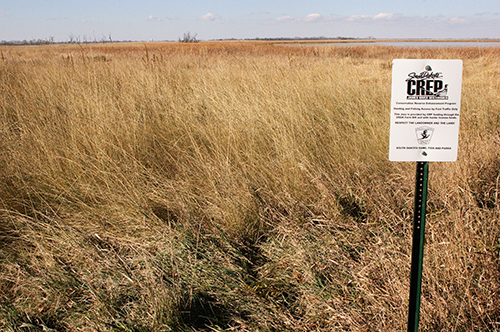 Landowners with land enrolled in permanent habitat conservation programs like CRP can receive an additional upfront bonus payment by opening it to public hunting for multiple years. For over 30 years, GFP has worked cooperatively with landowners to provide hunting access on privately owned lands. This program currently has more than 1.25 million acres working in partnership with over 1,400 landowners. CHAP is a cooperative effort between private landowners and the South Dakota Game, Fish and Parks. Landowners who enroll in CHAP have more control over hunter activities on their land; including controlling the amount of hunter use at a given time, setting special provisions for use, placing restrictions on big game species and game retrieval. Mapping information and online reservations to hunt CHAP lands. Landowners with 1,000 or more acres receive an enrollment payment of $250 flat base payment plus $6/hunter-day for each hunter day of use. In addition, landowners are eligible for bonus payments per hunter day. 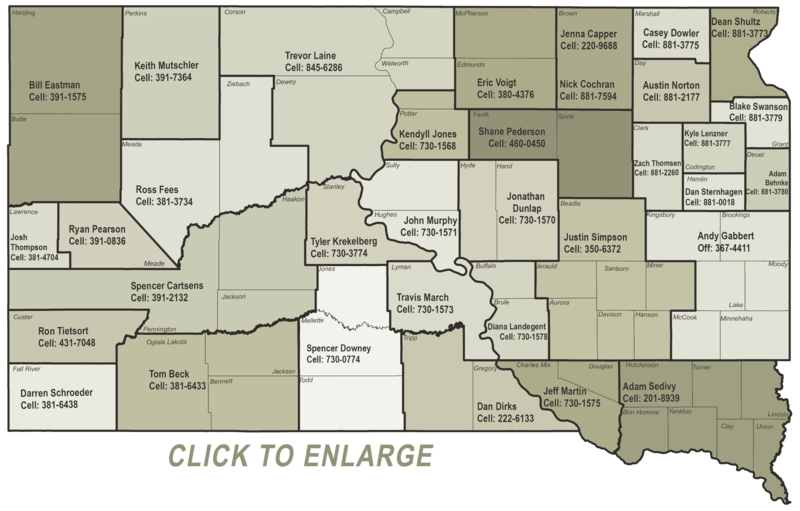 Landowners with under 1,000 acre receive $6/hunter-day of use. In addition,landowners are eligible for bonus payment per hunter day. Administered by the USDA's Farm Service Agency, this program is a "state-sponsored" Conservation Reserve Program; providing additional undisturbed habitat for wildlife and public hunting access. In South Dakota, the focus is on improving water quality, reducing soil erosion and providing flood control while creating additional pheasant nesting habitat in the James River Watershed. CREP participants receive 40 percent higher rental rates than if they were to just enroll their land in CRP. Every acre enrolled in CREP is open to public hunting and fishing. Currently, there are over 830 contracts serving an average of 98 acres in size with a total of 110,223 acres for access.